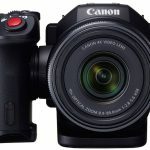 Following the announcement of Canon’s new 4K camcorder, the XC10, and the 4K capable C300 Mark II, you may have noticed both cameras only record compressed 4k. 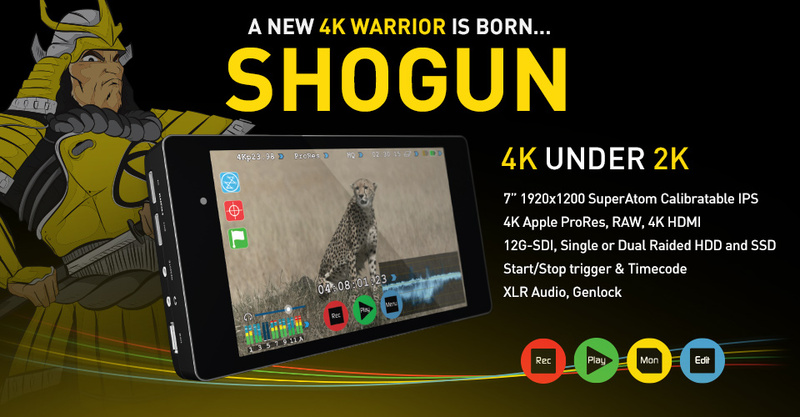 Never fear however, as Atomos is at the ready with their 4K recorder, the Shogun. 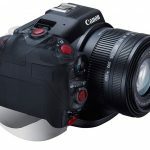 Even though Canon’s announcements were very exciting, I’m sure many saw the lack of ProRes and were a bit disappointed. As it turns out, Atomos’ newest recorder, the Shogun, can help alleviate those disappointments. 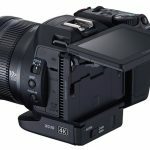 With both the Atomos Shogun and either of these new cameras, you can shoot ProRes 4K. In the case of the XC10, you can do so for about $4,500, which is about the same price as going with the Sony A7s. Direct to ProRes/DNxHR 4K recording (up to 2160p30) and ProRes/DNxHD recording (up to 1080p60). This means users do not have to transcode the XC-10’s internal recordings ready for editing in Apple FCPX, Adobe Premiere or Avid Media Composer. The 4K recording, apart from being the native codec for NLEs, is also 4:2:2 color accuracy and 10-bit color depth that enables the freedom in post production to integrate 10-bit effects and overlays. A 7″ monitor almost six times the area of the XC-10’s 3″ display, is the best and only way to truly set up Pro shots with professional features not available on the XC-10 like 3D LUTs, 2:1 & 1:1 zoom for critical focus, vectorscope, false color and the ability to have ongoing color calibration using an optional Spyder unit. Long record times onto affordable and reliable SSD media as opposed to the more expensive $/GB media option on the XC-10. The breakout XLR connection gives the Shogun/XC-10 combination both balanced analog XLR audio and 48V phantom power options for condenser microphone solutions. 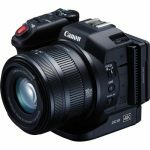 Melbourne, Australia – 8th April 2015: Canon’s latest announcement sees the Japanese giant launch a compact 4K video camera, the XC-10. Inheriting many features from the Cinema EOS range but in an incredibly small form factor it delivers 4K on the run and most importantly has the essential feature of clean HDMI, start/stop trigger and timecode over HDMI for perfect integration with the Shogun and other Atomos recorders. 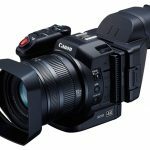 -Direct to ProRes/DNxHR 4K recording (up to 2160p30) and ProRes/DNxHD recording (up to 1080p60). This means users do not have to transcode the XC-10’s internal recordings ready for editing in Apple FCPX, Adobe Premiere or Avid Media Composer. The Canon XC-10 also supports the Atomos CFast cards. Small and reliable Atomos CFast cards are available in both 64GB and 128GB options and perfect for affordable filmmaking on the go. 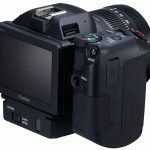 The blend of advanced functions with industry leading usability makes the XC-10 / Shogun a perfect 4K combination and the biggest 4K news to come from NAB 2015, which still hasn’t started yet. Wonder What Oscar Nominated Films Used Blackmagic Design?